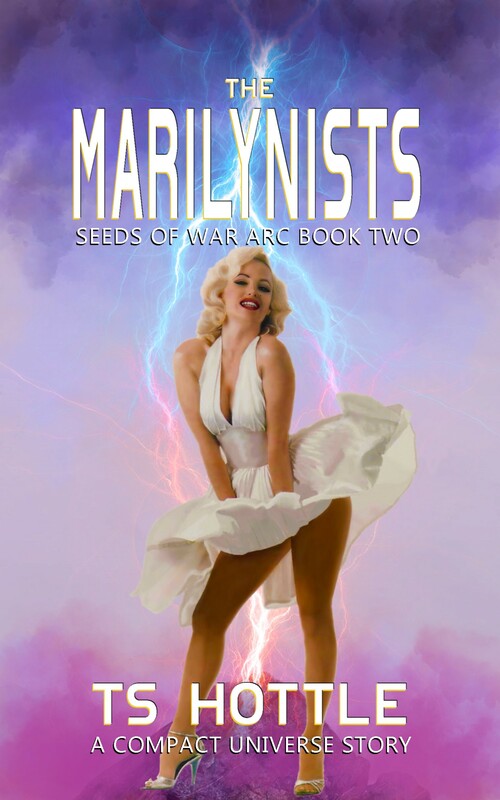 Clayborn Press has rereleased The Marilynists as part of the Seeds of War Arc, three novellas that lead into The Children of Amargosa (also available from Clayborn Press.) In it, Douglas Best finds three colonies for his backwater world, Jefivah, giving humanity’s oldest interstellar presence a measure of respectability among newer, more prosperous worlds. Only some of the weapons he had removed prior to settlement have gone missing. It is a cult to Marilyn Monroe who offers to save him from prison whether he likes it or not. The humorless men in their dark suits showed up at Best’s office on Jefivah six months after he witnessed the missiles’ removal. They made no appointment, nor did any of Best’s staff announce them. They simply strode into his office as if they owned the place. “Then I suggest you ask the shipping company about the remaining seven,” said Best. “They can’t, Best,” said Rostov. Not “Minister.” Just “Best.” Best felt his guts begin to turn. Best went numb as Liu cuffed him and Rostov explained his rights under the Compact. You can find The Marilynists exclusively on Amazon.